I discovered something, not only about my photography, but I think photography in general. I have unintentionally abandoned shooting images in black and white. I have a black and white mode on my camera and I had one on my previous DSLR, but I don’t recall ever using it. I don’t remember the last time I used any of my Cokin colored filters. It was likely when I used black and white film. In reading the 5 most recent magazines on my desk I noticed that black and white images are become rare. 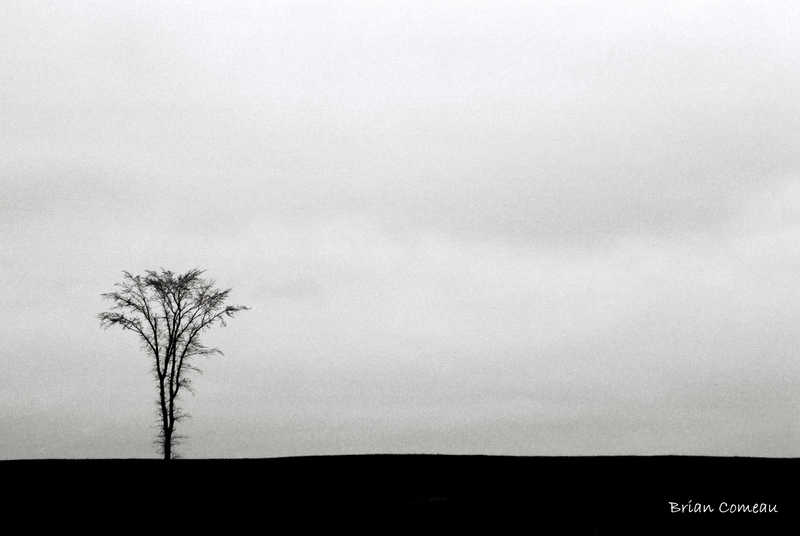 A monochrome image seemed so appropriate for this lonely tree next to a rural highway in Nova Scotia. Prior to shooting digital, Ilford HP5 and FP4 rolls of film were easier to find in my refrigerator than ketchup. On occasion a roll of XP2 or SFX could be found in the butter compartment as well. Before converting to digital I also shot a few images with the now discontinued Agfa Scala-200 slide film, which was magnificent. 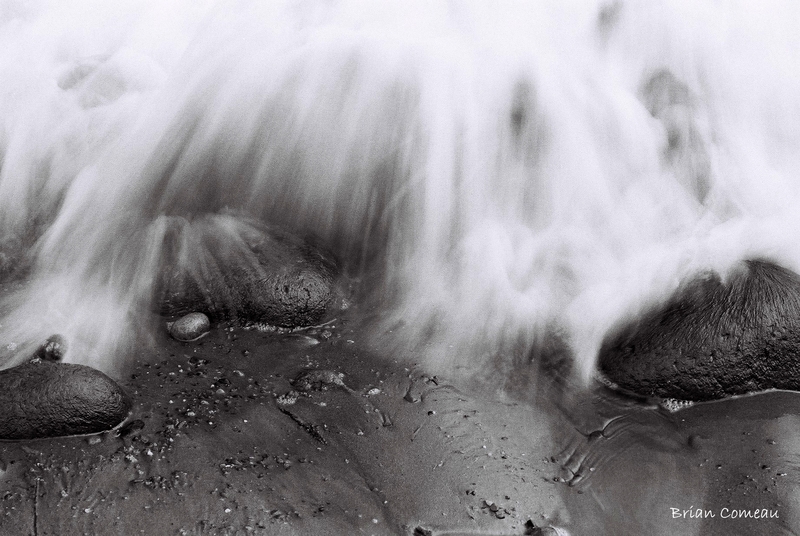 In general, if you wanted to create a monochromatic image 15 years ago you had to plan before releasing the shutter (I have made B&W prints from color film but it’s not the same). Digital has so many advantages over film, but at the same time I feel as a photographer it has made me more dependent on my PC than my camera. Part of the photographic process is planning, imagination and creativity. Deciding to take a photograph in black and white instead of color was a decision I had to make prior to hitting the button. Now it’s so easy to make a black and white image after the fact and I generally don’t think about it before I take the photograph. 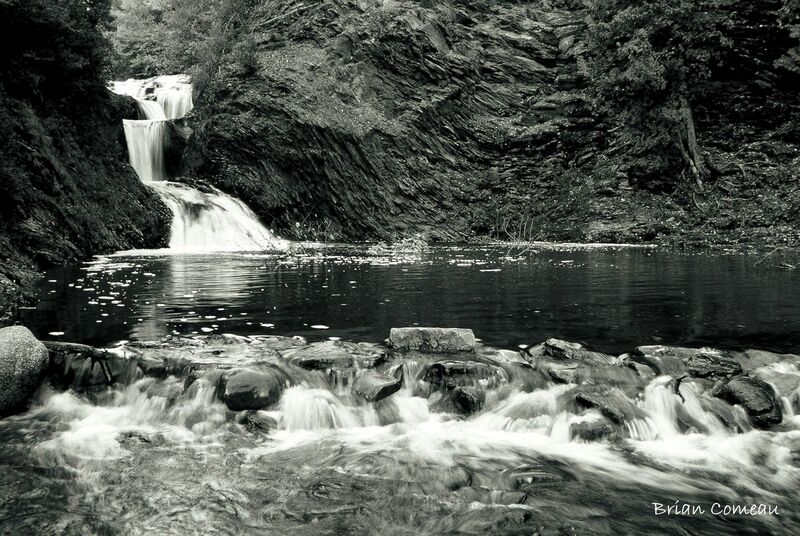 My first experience with Agfa Scala B&W slide film was ironically at The Silver Falls in Saint John, New Brunswick. 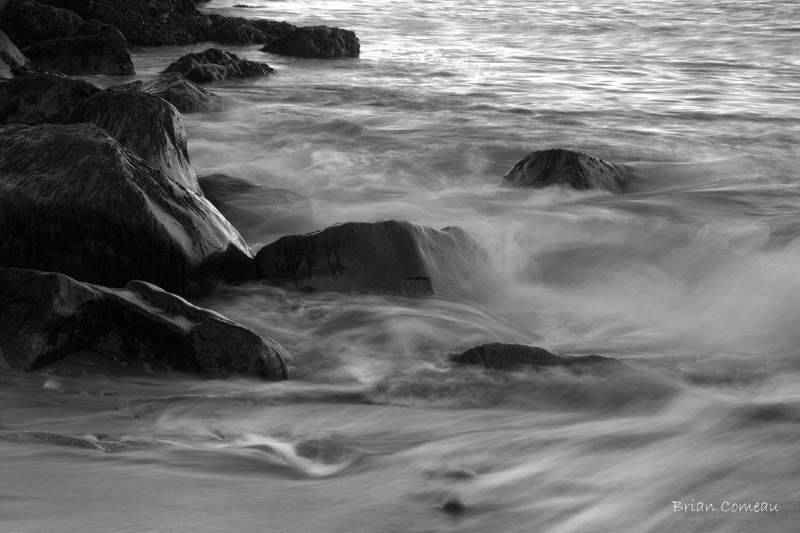 As a nature photographer, waterfalls, trees and macro subject are perfect for black and white images. I find this especially true when the scene is naturally monochromatic already. Flowing water or a solitary tree are subjects that I have traditionally sought out for making the centerpiece of an image. One of my favorite monochrome images. The tide coming in on The Bay Of Fundy. I’ve decided that before the month is over I’m bringing my Cokin filters back out and I’m going to rediscover the black and white mode on my camera. Years ago, there was a certain amount of anticipation in taking a roll or black and white film and waiting for it to return from the lab. In some ways, I miss that. I also think that as photographers we all go through periods of creative droughts for one reason or another. Isn’t ironic that in the era of digital and unlimited software choices, that something as old as photography itself might be the way to revive our creativity. And it’s right in front of us in black and white.